On July 16, 1943, 2nd Lieutenant George S. Palmer, 24, took off from Bradley Air Field for a scheduled high altitude training flight in a P-47D Thunderbolt, (Ser. No. 42-22356). Shortly after takeoff he joined a formation of four aircraft. When the formation reached an altitude of 15,000 feet, Palmer radioed the flight leader that the propeller on his P-47 wasn’t running right and that he was returning to Bradley Filed. On the way back Lieutenant Palmer was killed when his P-47 went into an uncontrolled dive and crashed near Bradley Field. Lt. Palmer was assigned to the 362nd Fighter Squadron, 379th Fighter group. He’s buried in Claquato Cemetery in Chehalis, Washington. On August 4, 1944, a flight of four P-47 Thunderbolt aircraft took off from Bradley Field for a formation training flight. Just after take off, one aircraft, a P-47D, (Ser. No. 42-22514), piloted by Lt. Sylvester F. Currier, began experiencing engine trouble. After informing the flight leader of his situation Lt. Currier was ordered to return to Bradley Field. As Currier was about 1.5 miles from the field black smoke began coming from the airplane’s exhaust. The flight leader advised the lieutenant to land on the nearest runway as there was very little wind. Unfortunately Lt. Currier’s aircraft didn’t make it to the runway, and crashed in a wooded area about a quarter of a mile from the end of Runway 6. The engine and landing gear were torn away, and although Lt. Currier was strapped to his seat, the seat broke loose and the lieutenant was slammed against the instrument panel. A small fire erupted, but was extinguished quickly by rescue crews. The aircraft was a total wreck. Lt. Currier was not seriously injured. He’d received his pilot’s rating on April 15, 1944. On June 15, 1947, Captain William H. Greenleaf, piloting a P-47N, (#44-89106) took off from Bradley Field in Windsor Locks with seven other P-47 aircraft for a simulated combat training mission. After the aircraft formed up over Bradley Field at 5,000 feet they split into two flights of four aircraft each, and each flight took turns making simulated attacks against the other. When it was their turn, the group in which Captain Greenleaf was part of, climbed to 7,500 feet and made three successive mock attacks against the other group which was circling below at 5,000 feet. After making two mock runs without incident, they climbed again for a third. It was during this third mock attack that Captain Greenleaf’s aircraft never came out of the dive, and crashed at a step angle in a wooded area where it exploded and burned about 1/4 mile south of Bradley Field. Capt. Greenleaf was killed instantly. Investigators were unable to determine the cause of the accident. 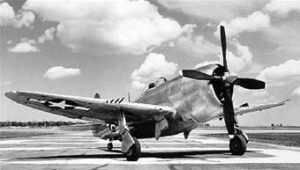 Captain Greenleaf was assigned to the 118th Fighter Squadron, 103rd Fighter Group, of the Connecticut Air National Guard. On the morning of August 31, 1945, Ensign Richard Henry Di Sesa, age 22, was part of a flight of twelve airplanes out of Quonset Point Naval Air Station practicing formation flight training over the Connecticut River Valley area. 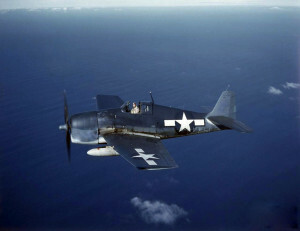 Ensign Di Sesa was piloting an F6F-3 Hellcat, (Bu. No. 42802), and was flying in the number 2 position in the second division of the flight. At one point, while the formation was only at 2,000 feet, it began a slight downward glide over the Connecticut River in a “follow the leader” pattern. While pulling out of the glide over the river, Ensign Di Sesa’s aircraft struck two high tension wires strung 120 feet above the water. His aircraft went out of control and crashed into the ground killing him instantly. Ensign Di Sesa’s body was brought to the Quonset Point Naval Air Station in North Kingstown, Rhode Island before being sent to Brooklyn, New York, for burial. Di Sesa died just three days after his 22nd birthday. National Archives, AAR VBF-97B-1 revised, TD450831, via Larry Webster, Aviation Historian, Charlestown, R.I.
On July 9, 1982, 1st Lieutenant Daniel Peabody, 27, of the Connecticut Air National Guard, took off from Bradley Field in Windsor Locks in an A-10 Thunderbolt II aircraft, (78-0585), for a routine training flight. His was one of three A-10s taking part in the training exercise. All of the aircraft were assigned to the 103rd Tactical Fighter Group based at Windsor Locks. At 3:35 p.m. as he was returning to Bradley Filed and approaching Runway 6, the aircraft lost all power. and Lt. Peabody was forced to eject at an altitude of only 1,000 feet. While he landed safely, the A-10 crashed in a field in East Granby, tumbled across a roadway, and through a boundary fence at the edge of Bradley Field, leaving a debris field that stretched more than 100 yards. The Hour – Norwich Ct. “Air Force To Investigate Jet Crash”, July 10, 1982, Pg. 3, by Martin J. Waters. On June 4, 1984, a Learjet 23, (N101PP) left Lorain County Airport in Ohio with scheduled stops at Cleveland, Syracuse, N.Y., Bradley International Airport, and then on to Philadelphia. At 11:40 p.m., as the plane was making its final approach to Bradley, it veered to the right and crashed in a massive fireball to the right of Runway 33, about 1,000 feet from the airport fire department. All three people aboard were killed. (Pilot) Charles Huffman, 32, of North Canton, Ohio. (Co-pilot) Ronald Dulay, 26, of Lakewood, Ohio. (Passenger) Eldridge Sheetz, 71, of Warsaw, Indiana. The cause was blamed on a malfunction of the wing spoiler system which led to a loss of control. Norwich Bulletin, “Jet Crash At Bradley Claims 3 Lives”, June 5, 1984, page 5. The Sun, (Westerly, R.I.), “Investigators Puzzled By Crash”, June 6, 1984, page 8, with photo. Norwich Bulletin, “Witnesses Describe Learjet Crash”, June 7, 1984, page 8.